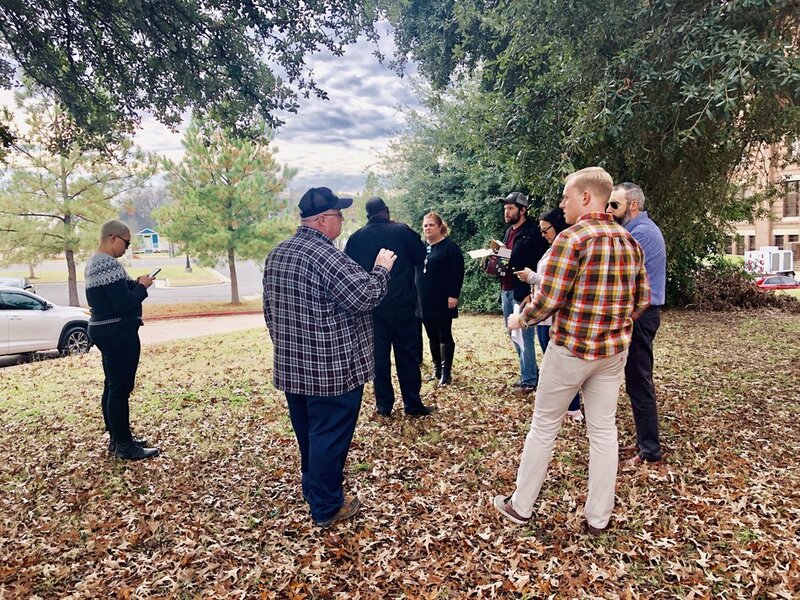 In April 2018, ReForm Shreveport was asked by Shreveport Common to create an experience that would attract people to a space adjacent to the future home of Shreveport’s first urban green space known as The Common on the west end of downtown. The project would be housed on a small lot owned by the City of Shreveport at the corner of Texas Avenue and Douglas Street. The idea, which we would come to call the “Common Parklet,” was conceived as a temporary pocket park where citizens could congregate regularly as construction of the larger project, The Common, unfolded across the street. 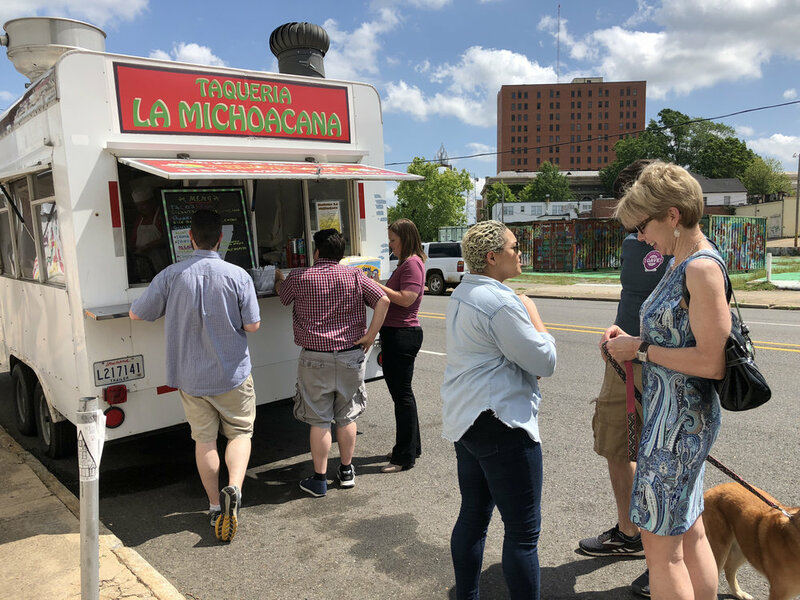 The Shreveport Common and ReForm teams agreed that the parklet project should be funded through charitable donations garnered through Community Foundation’s Give For Good day of giving in May 2018. Work began immediately on a rough budget and design (seen above) that would provide a roadmap for the project. Through generous donations from the community, $3,676 was raised for the Common Parklet. During this time period, former Mayor Ollie Tyler of the City of Shreveport was fighting for, and would eventually win, a $1.2 million reallocation of federal funds to the development of the larger Common park project. As a result, our plans to build the Common Parklet were delayed as changes to The Common project were codified. As details were beginning to emerge for The Common and the green light was given to the Common Parklet, we had already begun working on the Prize Fest Popup Mini Park - a similar, but super temporary, version of the Common Parklet. We learned several lessons from the Prize Fest project that would inform changes in approach to the parklet, such as the importance of density in seating, the quantity of trash cans available, and height of the cafe lighting which creates a “canopy” effect above the seating area. In December 2018, SPAR began preparing the space for the parklet in accordance with the designs produced by ReForm Shreveport. ReForm team members were on hand to direct and approve placement of seating, trash cans, and lighting as the project took shape. A photocell sensor was added to the project that would activate lighting based on the ambient sunlight instead of a timer as originally planned. Approximately 50 work hours spread over half a dozen laborers and three days later, the Common Parklet was almost ready, save the hanging of the lights. By January 10th, after a weather delay, the lighting was hung and the space was ready for use by the public. It is open now and will remain open until the grand opening of The Common in the summer of 2019. The Common Parklet includes six picnic tables, three 55 gallon trash cans, 300’ of festoon cafe lighting, a bike rack, and a Dero bicycle repair station. The bike repair station will be relocated to Common Park upon its completion and the remaining materials will be reused on future projects. The total material cost for the project came in under budget at just around $2,500. The remaining funds raised through Give for Good will be added to the Shreveport Common account to be used for other activities and installations in the future.